light situations throughout the day and night. or stop in the gallery. 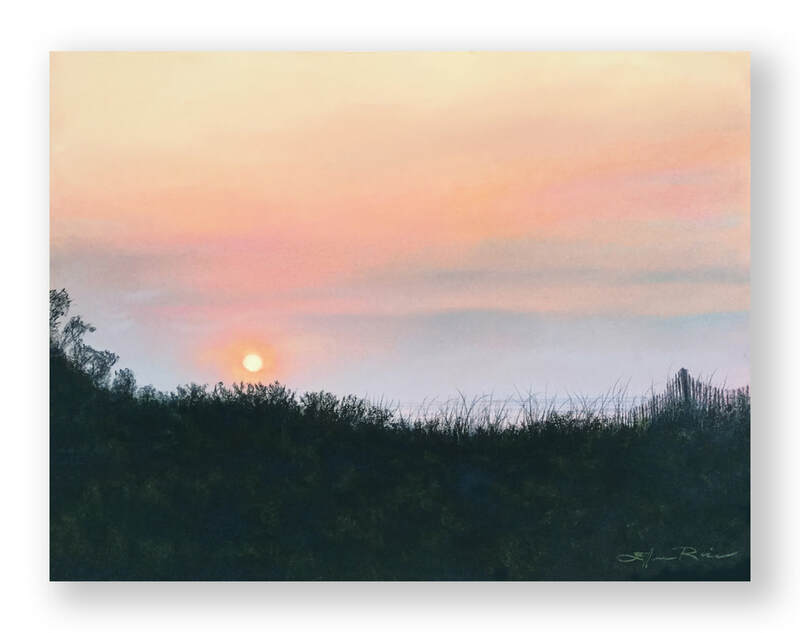 Summer Morning is one of those paintings that flowed easily, painted with the thought in mind that this painting could be something warming for people who collect my work to ponder and enjoy in their homes and offices through the colder months ahead - as well as summer! As I painted, I imagined myself crossing the dunes, feeling the morning dampness on my skin, hearing the gulls and gentle waves lapping just over the horizon and seeing my first glimpse of just a smidgeon of the ocean through the sea grasses before it comes into full view. I think it's the lighting and feeling of quietness and of anticipation of the day that is to come that makes this pastel one of my favorites this year. ​I hope you feel it, too.